That's cute! And I love how you caught the little boy just after the food had left his hand. 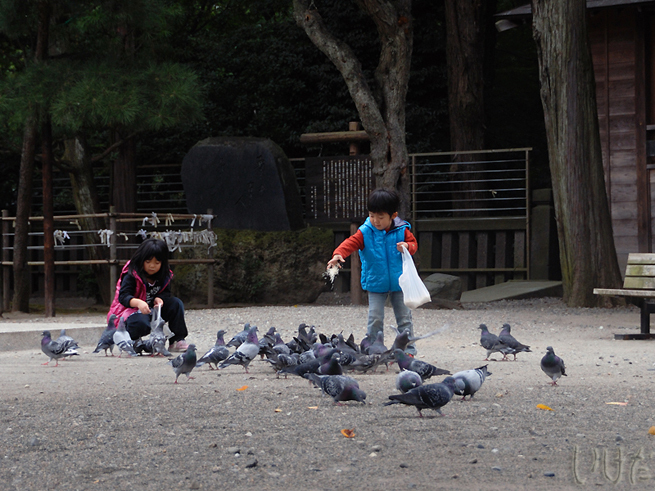 What a wonderful capture of the kids feeding the birds! I should take our daughters to do the same!